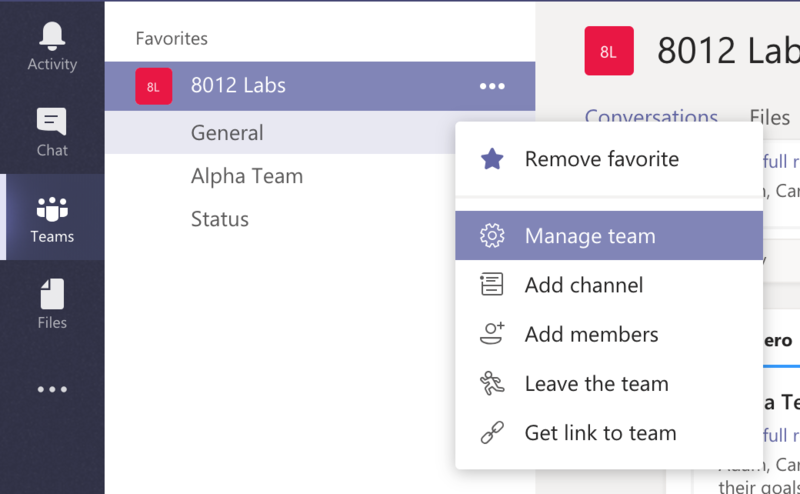 When Status Hero is connected to Microsoft Teams, check-ins and summary reports will be automatically sent to the channel of your choice. Make sure you have a Status Hero account set up first. 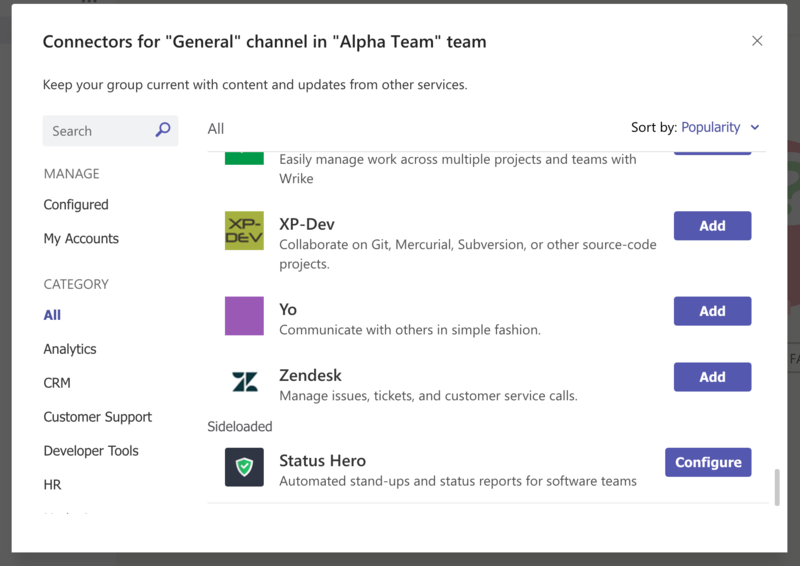 Also, you or your team admin will need to enable the sideloading of external apps in Microsoft Teams. 3. In the menu to the right of your team name, select "Manage team"
5. In the bottom right-hand corner of the Apps page, click "Upload a custom app"
10. In the resulting dialog, copy the webhook URL and click "Save"
11. 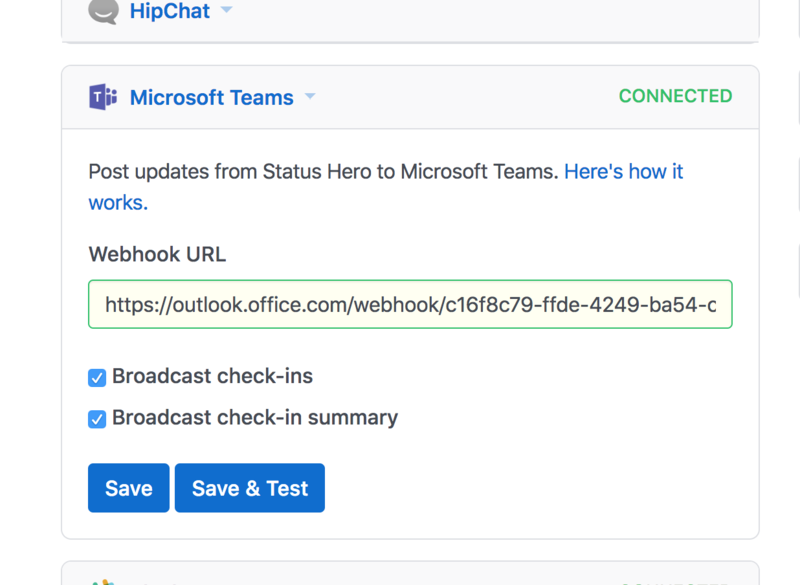 In Status Hero, visit the integrations page for your team, open the Microsoft Teams panel, and paste in the webhook URL you copied, and click "Save"
That's it! Status Hero will now broadcast check-ins and check-in summaries to the Teams channel you selected. Note: this is our first release of this integration, and we're working on extending the functionality. Stay tuned!